Traveling is not always fun when there is so much to plan and think about. What-to-see, where-to-eat, and what-to-do lists get longer and longer. As a family, you might think that your children might lose interest in the historical details, museums or maybe even the landmarks you’d like to see. However, there are always better ways to make a trip fun for the children as well. Rome would certainly be one of those cities where both parents and children can spend time with ease. Hours pass by quickly while you wander at Colosseum, or while having a nice carbonara at a local eatery, or even while climbing the Spanish Steps. 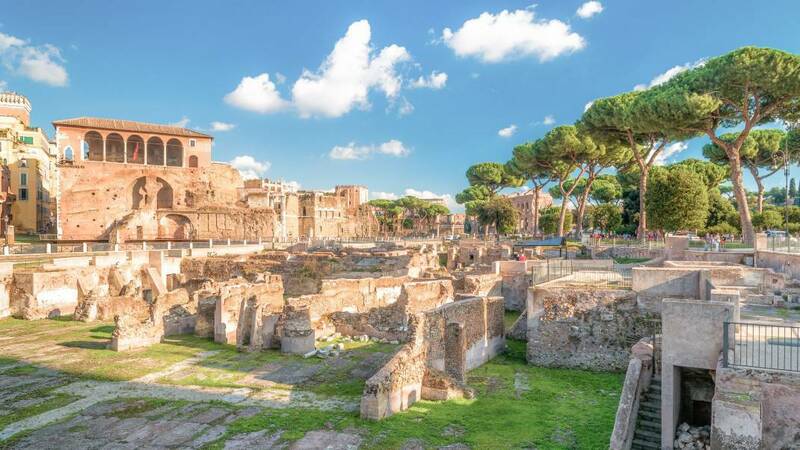 In order to make it possible for you to spend a delightful, fun yet relaxing trip in Rome with kids, we’ve come up with a list of the 12 best things to do in Rome with kids! Now, you don’t need to worry about what to do in Rome with kids; enjoy the time while doing all these amazing activities. Don’t forget to seize the day at the same time! The kids will love the Roman ambiance, ice creams, pasta, and pizza – maybe whole Italian cuisine and they might actually ask to stay more, who knows? It is rare to find a child who does not like ice cream. Probably in Rome, the children will feel like there are in heaven. The ice cream shops are literally everywhere in the corners. Luckily, Rome has a very impressive history with ice cream and Roman gelato is famous all around the world. The artificial colors or tastes are things you will not notice here. Going on a gelato tour as a family would be very fun and in fact super tasty! You might try a flavor in each place to try new flavors as well. Your kids will love to be part of such a tour. While you are going from one shop to another you can continue your sightseeing in the city as well! If your children would like to engage in a rather Roman activity, Gladiator School is a great option. Here, they can have fun and also learn about the history of Rome as well. Roman Gladiator School offers two-hour classes during the day. The kids will wear gladiator clothing and learn specific techniques too. Along with the class admission, they will have access to the gladiator museum. You can decide the time of the class according to your schedule. They will also receive a certificate at the end, which they might save as a memorable souvenir from this trip. And don’t worry if you are not a child! The classes are also open for adults so it can be a great family activity. Trevi Fountain is one of the major attractions in Rome and it is for sure that you will visit here. The tradition of visiting the fountain requires a small donation on your side. However, you shouldn’t simply drop it! There is a specific way to do so. While making a wish, you should throw the coin with your right hand over your left shoulder – it’s important! You will see many people trying to do it. It would be fun to try this Roman tradition as a family. We are sure that children will also like to make a wish here! Don’t forget to explain them in detail – they will love the interactive sightseeing like this. Il Museo dei Bambini – which is also known as Explora in Rome – is created by the female majority cooperative. It is the first privately owned and non-profit museum and activity center for the children. The whole ticket system is time-based, which means you will book a slot with the ticket and takes approximately 1 hour 45 minutes. They can engage in different activities, wander around in the museum with the family, go for a kitchen workshop, “work” with the computer to earn some Explora-money – just like a real adult. There is a very big green area outside with playgrounds as well. The ticket is 8€ per person and 5€ for children who are under 3. To give a nice break for your kids, Museo dei Bambini is a delightful place to spend a couple hour and have fun as a family. As you know, one of the childhood heroes from the famous book Pinocchio is Italian. Italy is proud to have this character as well that you can see many miniatures in the gift shops as well. There is a very nice place in Rome called Bartolucci, which actually has a unique ambiance as it works as a wooden toy shop. There are also some other items too but the main focus is on wooden toys which would be great to be seen by your children as well. The variety and the types of toys are amazing. You can also buy souvenirs from here. Don’t forget to take a photo outside with Pinocchio too! Take a chance to attend a hands-on experience of making pizza while you are in the best country to eat pizza. Pizza is not only a popular dish for children but also much loved by every other age as well. The children will especially enjoy this experience as it will be an interactive activity for them. They will able to choose their ingredient, knead the dough and shape it, see how it is baked in the oven and of course in the end – they will be eating what they cook! There are many places offering pizza workshop with groups or private bookings as a family. Just make sure you book it in advance as it is a very popular option for families with kids. Colosseum is another famous landmark of Rome and it is for sure that you will be visiting here with your family. In order to take the best out of your tour here, the best is to enjoy with a family tour. In this way, you can have the tour with fewer people and spend a more relaxed time while visiting there. You might even opt for an interactive tour with your family, the kids will also get excited about learning more and pay attention. Above all, it will allow you to skip line as you will book online. A big win-win! Caesars home! #Rome #Italy #2015 ??✌?️✈️?? Italy has one of the most renowned cuisines in the world. Luckily, as a family, both you and your children can find a dish to enjoy. The Italian cuisine has many different dishes appeal to many different choices as well. Pizza and pasta are the two favorite dishes of the children and here they will love it even more. In Rome, there are many types of restaurants to visit and it is actually hard to choose one! Don’t worry many of them are family friendly and they would take extra care to the children while dining as well. One of the best ways to experience a culture is done by eating the local food too – and it will be always nice to do this with kids. Rome has a lot to share with you, the museums, landmarks, tours, Vatican, the churches and restaurants; it does not finish somewhere. However, you can always run away from these tiring touristic paths and just spend a relaxing time near in the city parks with your family. You can even do a small picnic with some sandwiches, juice or only with some sweets too. Borghese is one the largest and mesmerizing parks in Italy as a public park. The park also has a zoo and many places to rest and spend some time. There are other premises you can enter with a fee too. You can hire a golf car and travel around the park with it as a family as well which would be great especially during a nice weather. Bocca Della Verita is a popular spot visited by travelers. The legend says if you are a liar, your hand would be eaten or bitten by Bocca – which means the mouth. Of course, there is nothing harmful happening there! The kids might wonder about the old stone and to actually try to be a part of the old tradition to put their hand in the mouth. Right after the stone, there will be a little but the very welcoming church which also you might enjoy visiting. The tickets will include both. Don’t forget to come early, the line is usually long and there is no advance booking to see it – but worth waiting to see this classic Roman stone. There might be a time when children would avoid sightseeing during the trip. That’s why you have to start with the ones which wouldn’t be boring to them. A great option would be to see the Roman Forum. The forum is situated right beside the Colosseum so you can continue to Forum if you are planning to see both. The area is very big and also full of statues, arches, columns. The children will especially enjoy exploring the forum area with sculptures, to touch the buildings and to be more active here – unlike in a museum they can laugh and wander around here easily. Trastevere is a really lively, hip and vibrant neighborhood in Rome. There are many different activities to do here as well. Including shopping, eating, wine tasting, go to a flea market, visit the river island, see some churches – and many more! You can take a walk along the riverside and enjoy some of these activities at the same time. The river has amazing views and kids will love to watch boats passing by the river. You can always grab a snack and sit in a bank next to the river as well – just to enjoy the time, rest and take a long look at amazing views. Ponte Umberto I, Lungotevere – ROMA ????? ?Sunset in #rome!! #sanpietro #cupolone #cupoladisanpietro #lungotevere #sunset #ponteumberto #sunsetinrome #trastevere #vicolodisantamariaintrastevere . . . . . . . . . . . . #piazzatrilussa #roma #romacentro #italy #lungotevere #stradediroma #travel #italiantravel #travelblogger #ita ??? ?